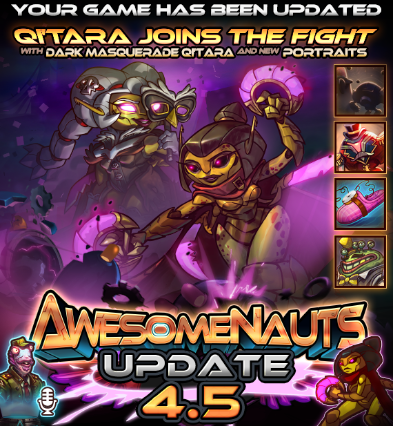 Awesomenauts has just been updated to version 4.5 on Steam. The update, dubbed Revenge of the Renegades, introduces a new character, a new skin and in-game announcer, new profile portraits, and multiple new features and improvements to the in-game level editor. Qi’Tara, the thirty-third character to join the Awesomenauts, is a cloaked assassin that applies a stacking poison effect to her enemies every time she hits them. Her individual hits don’t deal too much damage, but the poison effect can quickly overwhelm her opponents because of her high attack speed. She’s the fourth and final member of the Renegades, a team of elite mercenaries on the run from a corrupt emperor, and now that they’ve reunited under the banner of the Awesomenauts they’re ready to strike back! 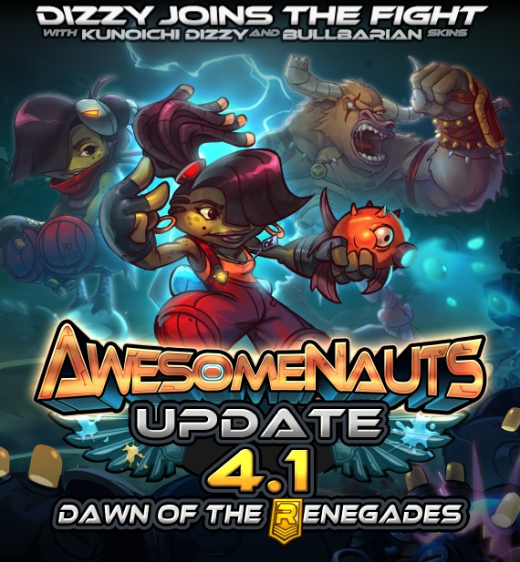 Her release concludes the ‘Rocket’s Renegades’ expansion-arc that we started back in May 2017, when Awesomenauts went free to play. 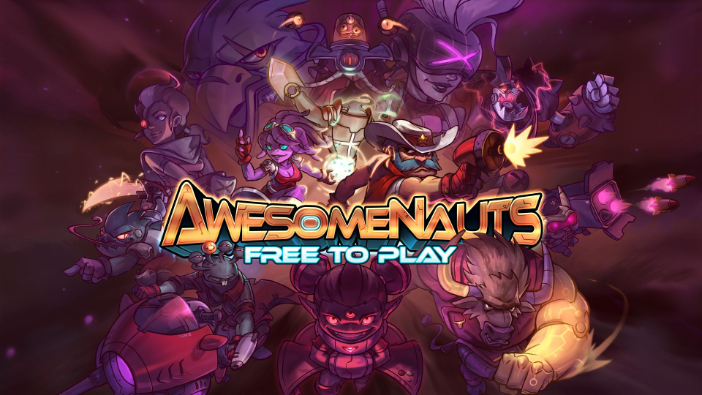 A new Starter Pack is also available with this update, giving players access to a varied roster of eight different accessible Awesomenauts at $7.99. This starter pack is 20% off to celebrate its release! This will be the last content update that we’ve got scheduled for 2017, and caps off an exciting year in which we celebrated the fifth anniversary of Awesomenauts and transitioned the game to free-to-play! 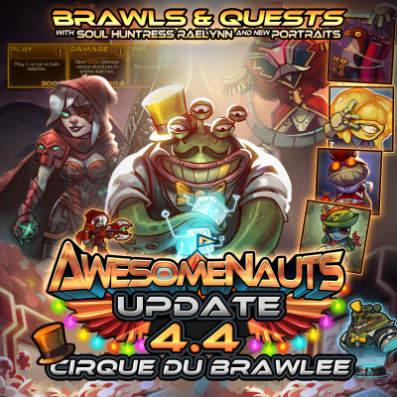 More Awesomenauts-related content is in the works for 2018, including a new character, a massive update for the Playstation 4 and Xbox One version of the game, and much more!